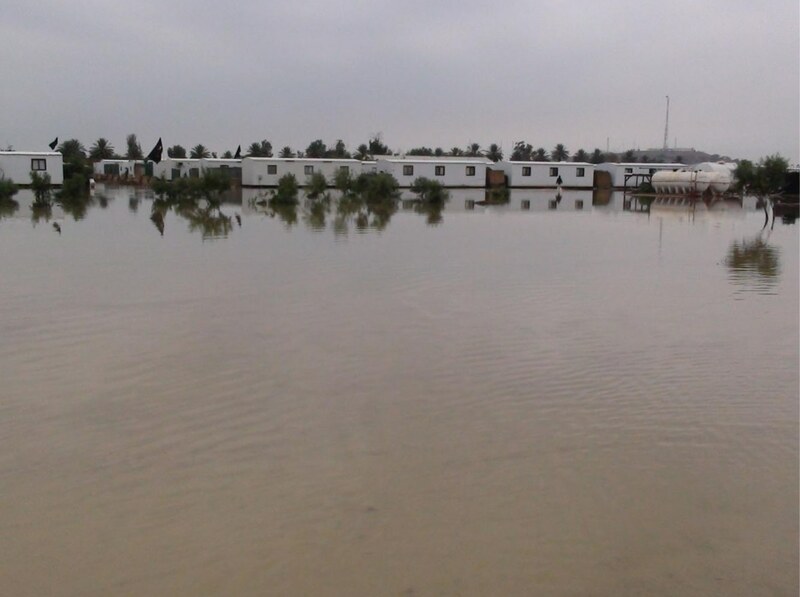 Two-and-a-half months after the massacre and abduction of the residents of Camp Ashraf by Iraqi forces, the agents under the command of PM continue to prevent the provision of security minimums at Camp Liberty. The September 5 joint plan by UNAMI and the U.S. embassy in Baghdad, approved by the Iraqi government, had stipulated that “the GOI guarantees the safety and security of the residents in Camp Liberty” and “shall take all necessary security measures to prevent any rocket attack or security threat to Camp Liberty… The GOI agrees to install T-Walls and allow additional sand bags for the protection of the residents in Camp Liberty pursuant to a UN security recommendation”. Despite thousands of meetings, letters and contacts by the residents and their representatives in Liberty, Washington, DC, New York and Geneva, in the past 18 months, the Iraqi government has refused to provide other security and humanitarian provisions in Liberty. Flood waters in Liberty have made it impossible for cars and residents to move on dirt roads, especially the sick and the hunger strikers that their lives are at risk. Repeated efforts by the residents since early 2012 to hire Iraqi contractors at their own expense to asphalt the roads and repair the drainage canals have been obstructed by the Iraqi government. 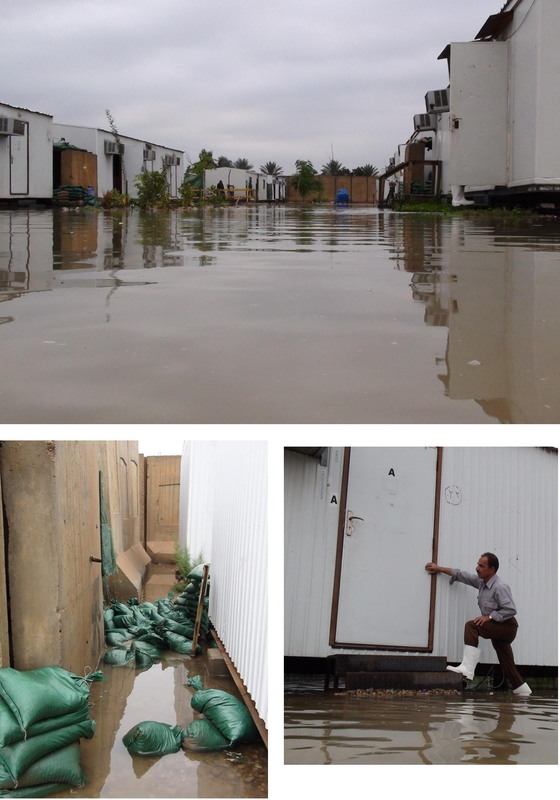 In addition, the rainy season and the consequent flooding are causing contamination and spread of infectious diseases throughout the Camp. (see attached photos). In reality, however, in September, the Iraqi government, instead of installing the 17,500 T- Wall which protected the trailers, has only installed 192 T-walls (about 1%). Since the end of September the Iraqi forces have prevented further installation of T-walls, which provide the only protection that could reduce the residents’ vulnerability to rocket and mortar shrapnel.